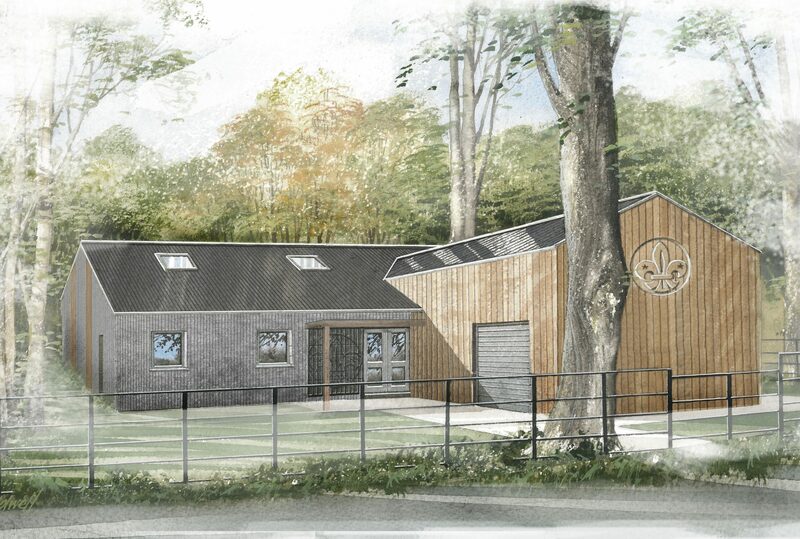 1st Knutsford Scouts group approached Hive to replace their aging facility. Our brief was to provide a replacement HQ building fit for the 21st century, with inclusive access and cycle provision. 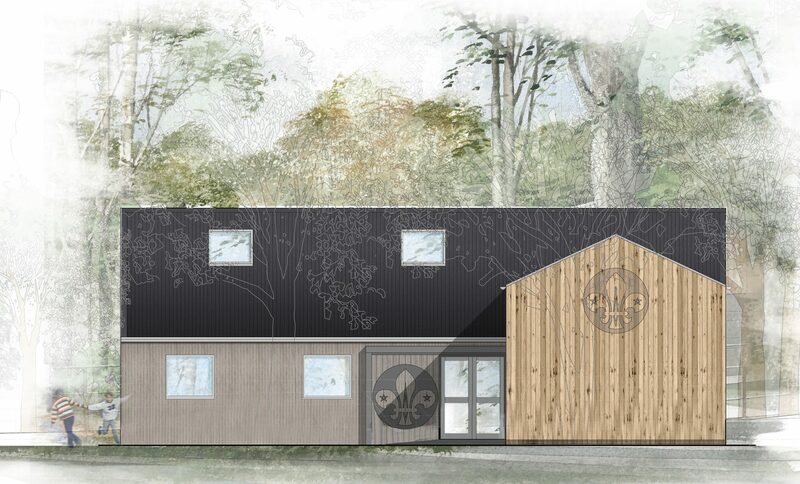 The aim was to deliver a low maintenance, high-quality contemporary building for the Scouts, with room for future growth. The client also wanted the facility to be suitable for use by other groups, so it could earn additional income and ensure long term viability. As soon as we saw the site, it was clear the constraints were considerable and varied. 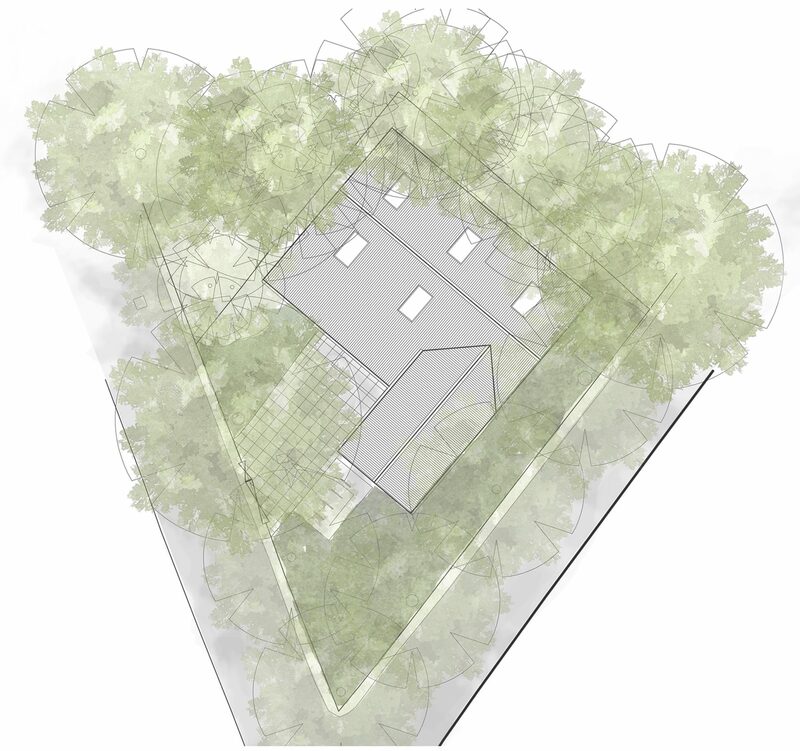 Our approach was to work with the trees rather than against them, largely keeping within the footprint of the existing building, with a minor increase where there was least impact on the trees. We also designed from the outset for mini-piled foundations for trees, and decided on an off-site fabricated build to both minimise CDM risks and maximise the performance of the building. We developed a flexible plan, with a single large hall capable of accommodating larger groups. The hall could also be separated into two smaller rooms operating independently, allowing for more diverse uses. Service spaces are housed in a wing off the side of this main space and provide improved facilities for storage and for drying equipment after camps. The brief required an architecturally robust building able to withstand the wear and tear it will no doubt face. Our solution is a cross-laminated, timber panel construction with tough yet beautiful plywood faced interiors. External materials are contemporary, robust, low maintenance and sensitive, without being pastiche, with high quality fibre cement panels to unprotected facades and natural timber cladding to street sides, and black metal roofing. Cladding is also detailed to provide habitat for fauna and increase biodiversity. Instead of security bars, the entrance is protected by a sliding steel screen cut to a pattern of local flora and fauna developed by the children. Community engagement was critical to our strategy. Extensive public consultation was carried out with social media, press coverage and open days. Any critical comments were given real consideration. The result was huge public support for the planning application, which was approved by the local authority. The complexity of the site means our input throughout is vital to ensuring the intended solution is delivered with maximum value. "We have been delighted with the incredible level of support that we received from Hive throughout the project." "We have felt fortunate to have had Hive as a partner and they have been key to making our tricky design, planning and build process run smoothly." "Hive quickly developed a thorough understanding of our numerous requirements and produced a scheme that was both fully functional and sympathetic to its unique location." The local Scout group are funding the build themselves. 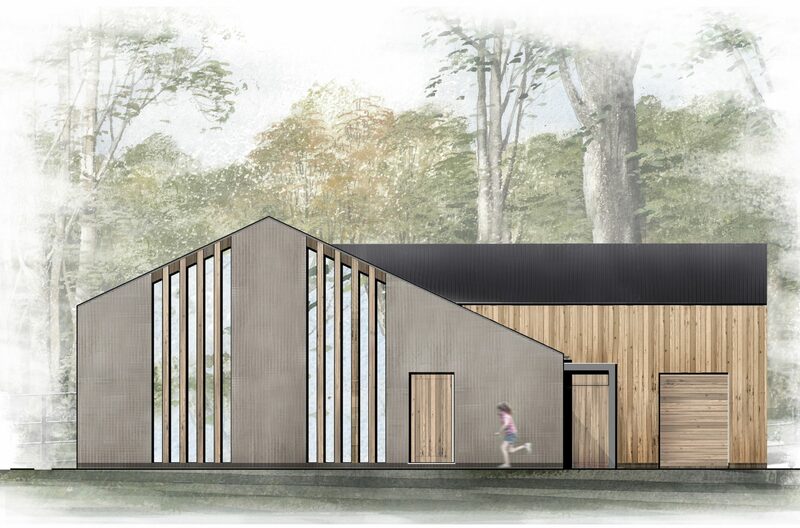 Planning approval is essential to most funding sources, so getting this swiftly was critical. 1st Knutsford Scouts and Hive have since had multiple approaches from other Scout groups looking to develop their own HQ buildings.